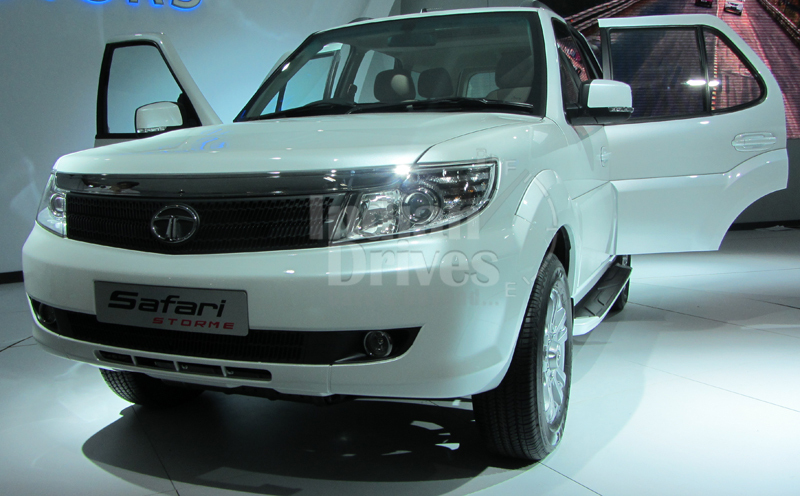 Tata is searching for the biggest fan of its TATA Safari Storme through a Facebook contest. The contest will allow three fans an opportunity of a lifetime to experience the thrills of off-roading in the new Safari Storme. The contest is available for the participants from Dec 10 to 20, 2012. Participants can enter the contest by logging into Biggest Fan App on official Tata Safari Facebook page and by completing two simple steps – write a caption for the image of new Safari Storme and by describing how they would like to embark on an adventurous journey. Participants can also share their entries on their Facebook walls to get votes from their friends. On the basis of the leaderboard position and the entry quality, three winners will be selected for experiencing the new Tata Safari Storme at the Tata Motor Full Throttle Kutch experience that is scheduled to occur on January 24th. It will be a 4 day tour that will spread over 1000 kms, starting from the Rann of Kutch near Ahmedabad on 27th January 2013. Moreover another 10 lucky winners will be getting Safari Storme merchandise.